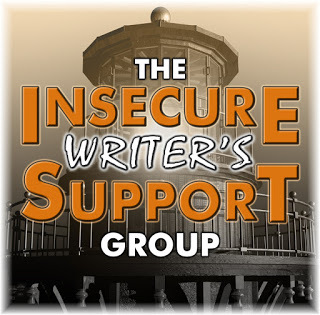 I’m not sure where the time goes, but today heralds the April version of the Insecure Writer’s Support Group! On this day we release our neuroses to the world and also offer encouragement to those who are feeling insecure about their writing. If you’d like to join the group, click here to sign up. While you’re at it, visit someone you haven’t visited with before and leave them some encouragement. Captain Alex’s awesome co-hosts for today are Olga Godim,Chemist Ken, Renee Scattergood, and Tamara Narayan! The IWSG Anthology, Tick Tock: A Stitch in Crime, comes out on May 1. Click on this link to hop over to the book’s page and pre-order your copy today! The IWSG Goodreads Group will be discussing Save the Cat: The Last Book on Screenwriting You'll Ever Need by Blake Snyder on May 23. Be sure to participate. The optional discussion for today is - When your writing life is a bit cloudy or filled with rain, what do you do to dig down and keep on writing? We all slow down at some point or another in our writing. At times, it can be hard to figure out why we do what we do especially when we hit a roadblock or the journey doesn’t seem worth it. I’m not recommending this for everybody, but one solution that works for me is to step away from writing for a bit. There’s life, which never stops churning, there are good books (as evidenced by the hundreds of them on my kindle) and there is also the opportunity for a brainstorming session to keep the creative juices flowing. Most of all though, when the way seems cloudy, I remember the reason I started writing – for the love of it. That’s usually enough to refocus my energy and keep me going. How do you combat the blahs? What’s your solution for keeping them away? What’s the first thing you do when doubt, discouragement, and fear show up? 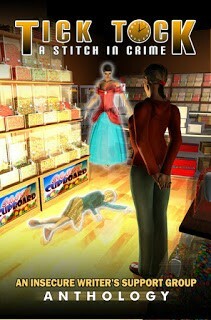 And last, but not least, I've been busy as usual and had a book release in March. This one was a departure from the norm for me, but I had some awesome editors and my wonderful publisher, Garden Avenue Press, that made the publishing process a breeze. Here's my latest book baby! The Thick of Things falls into the category of women's fiction, but with strong romantic elements. It is a tale of love, devastating loss, and second changes. If you want to find out more, check here. Thanks for stopping in. See you on the rounds! Life does keep churning, doesn't it? Is posting beautiful flower photos on Instagram one way you step away? I love women's fiction. I like my romances to have some issues other than relationship stuff. I'll have to check it out!! It does help to remember our initial passion for writing. That's true. It keeps us going when nothing else does. Congrats on the release. I really like the book cover, especially the font used for the title. Stepping away absolutely helps. But we always come back for the love of it. Congrats on your new release, Joy! I like your idea. It works for me and when I can return, then the writing is better. Congrats on the departure in your March release. Shaking things up is fun. Yes, Lee, the writing does flow better after being away for a bit. Thank you so much for stopping by my blog. I agree with you. It's okay to step away for a bit, especially if it helps you get back to writing. Congratulations on your new release! Yippee for the book release! Awesome stuff. Sometimes the solution IS to step away. Hey, Crystal. Yes, a break does help. Taking a break does help. I agree totally. And hope your book release is going well. Thanks for your good wishes Natalie. Congrats on your new release. I don't step away when I'm stuck on something but I do take a break when I finish a project. Usually only a week. Susan, thanks so much. Breaks are always good. Sometimes you need a break to replenish the well of creativity!